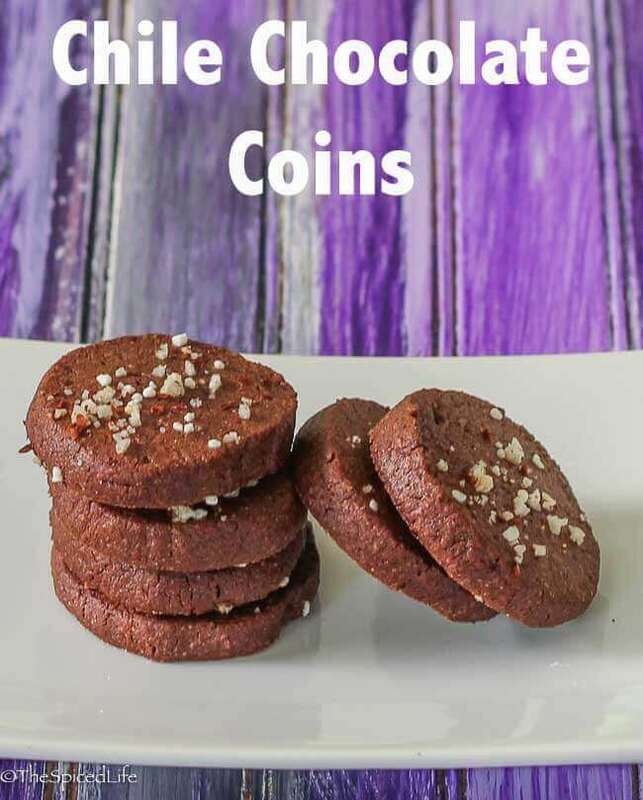 Chile Chocolate Coins are a fun and easy twist on a simple slice and bake chocolate cookie. 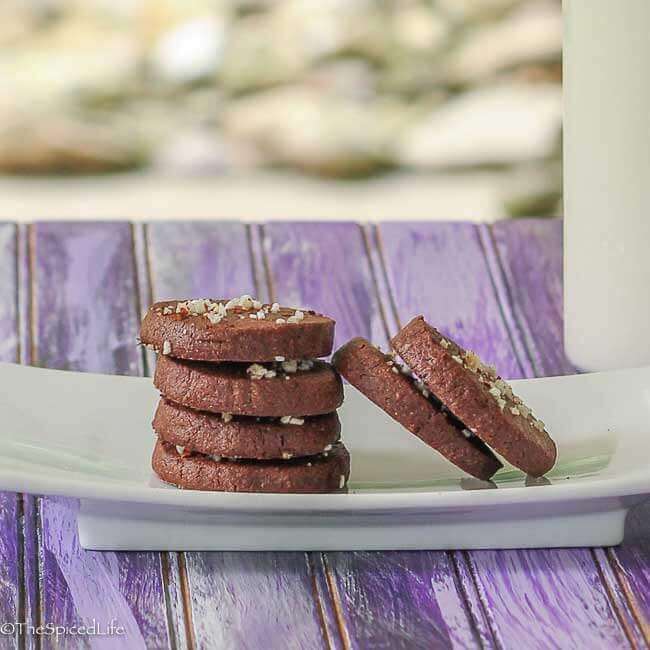 Keep reading to see what other “Chile Pepper in Cookies” creations were dreamt up by our bakers! Chile peppers and chocolate together are an interesting issue. To me they are, at this point, almost old hat. But I brought a dried chile pepper chocolate mousse to my brother’s house a few years back and you would have thought I had tried to poison the lot of them! So clearly I need to continue spreading the word of how beautifully chile pepper works in desserts. Smoky, fruity, full of heat–what’s not to love when combined thoughtfully in sweets? In my humble opinion, dried chile peppers work especially well with chocolate, but I would definitely try (and have tried) fresh or dried chile peppers in other sweet combinations as well, with flavors such as citrus, caramel or ginger. 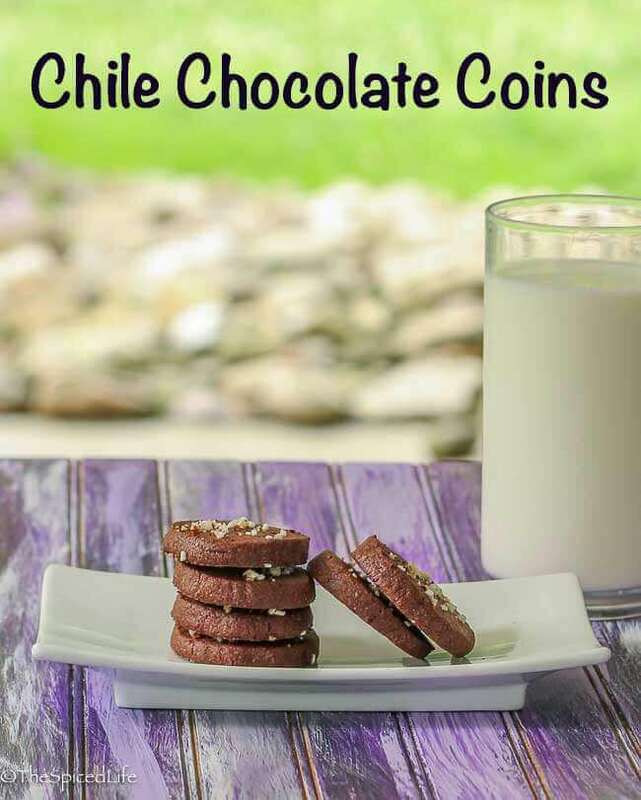 If you don’t want to take my word for it, consider that my heat-phobe Alex finds herself gobbling up sweets such as these Chile Chocolate Coins or this Cashew Chipotle Beer Brittle, albeit often while downing milk at a similar rate. 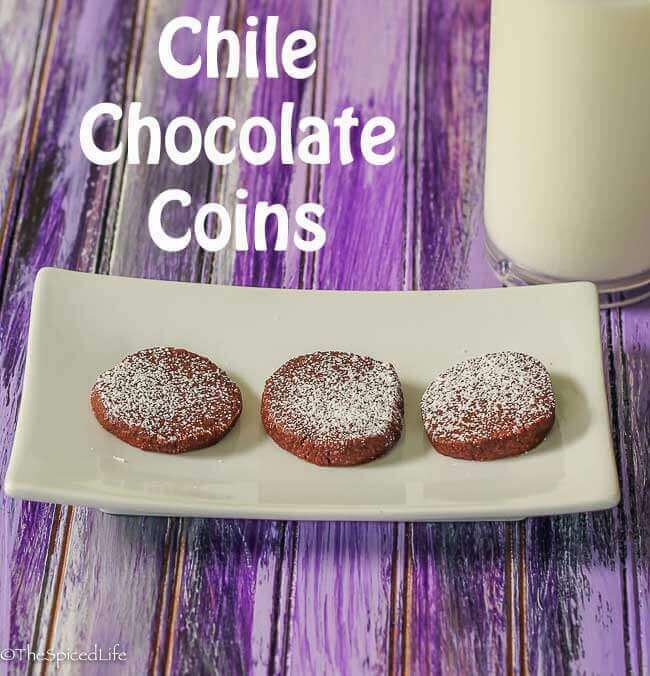 Truthfully these Chile Chocolate Coins do not require much milk (for taming a burnt tongue), unlike the brittle. That is because they use ancho chile powder and coarse Aleppo chile pepper flakes, neither of which are very hot, just flavorful and naturally sweet and smoky. I chose to use both peppers, because they are similar enough to complement one another and because I wanted the option to whisk the fine ancho chile powder into powdered sugar, for one possible garnish, or sprinkle the coarse Aleppo chile pepper flakes with coarse salt and sugar, for another garnish option. If you are curious, we did not agree about which we preferred! My kids and John both preferred the sweeter, less assertive powdered sugar. 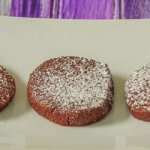 I preferred the sprinkling option that included salt, which gave me the salty zing I love in chocolate desserts, and emphasized the heat in the chile peppers a bit more, as well as lending a slight crunch to the cookies, which I also enjoyed. Try both and see which you prefer! Wish me luck that I figure out the best spot for the new table and actually figure out how to use the much more complicated (and hopefully much more useful) tripod! 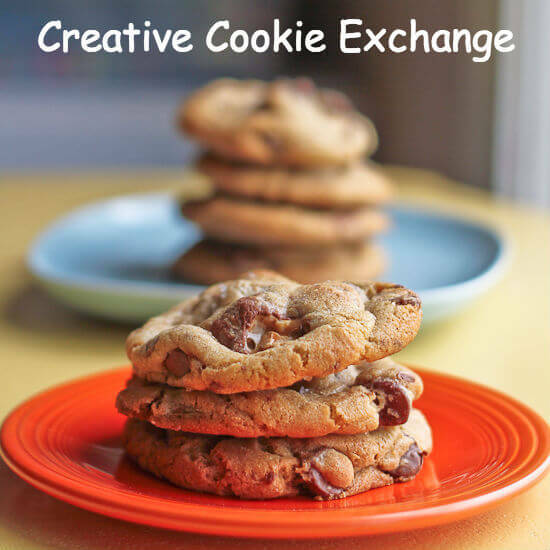 And in the meantime, check out everyone’s delicious cookies with chile pepper…. Closely adapted from Serious Eats. Serious Eats suggested dusting with a combination of powdered sugar and ancho chile powder, which my family loved. I however preferred the raunchier flaky sea salt, coarse Aleppo chile pepper and sanding sugar combination. Be aware that the salt intensifies the chile kick. In a medium bowl, whisk together cocoa powder, flour, salt, and both chili powders. In a large bowl of a stand mixer (or using a handheld), beat together butter and sugar until light and fluffy on medium speed, about 4 minutes. Mix in eggs one at a time and beat for another minute. Beat in vanilla and caffe sport extract (or coffee extract or instant espresso powder). Mix in flour mixture in 3 additions, and then beat on medium speed for about 2 minutes, until dough has become smooth and cohesive. Split dough in two equal parts. Roll each half into a 1 1/2 inch wide log. Wrap each log in plastic wrap. Let dough chill in refrigerator for at least 1 hour. When you are ready to bake, preheat the oven to 350 F. Line 2 baking sheets with parchment paper. Cut dough logs into 1/2-inch thick coins. Arrange coins on baking sheets. If desired, sprinkle the unbaked coins with flaky sea salt, coarse Aleppo chile pepper and sanding sugar. Bake until evenly lightened in color but still chewy in texture, about 15 minutes. 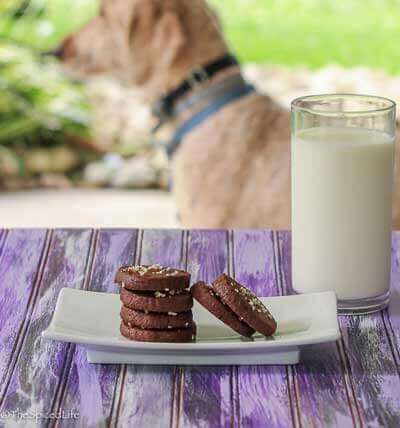 If desired, let un-garnished cookies cool before dusting with confectioners sugar and extra ancho chili powder. Fresh or dried, fruity chile peppers add a great kick to your cookies. Looking for an example to try? Keep reading! We’re practically twins today!! Great minds think alike! Congrats on your new toys! i think I would agree with you about the garnish – the salt mixture would perfectly compliment the chocolate and spice level. They look delicious.